Note: This Quick Start Guide describes the process used in SQDR Plus 4.2x/SQDR 4.1x and earlier and is now out of date. For the current Quick Start Guide Part 2, refer to the SQDR Plus Quick Start Guide and select the section appropriate to your environment (combined tier 2/3 on Windows (typical), split tier 2/3 Windows/Windows or split 2/3 Linux/Windows). This Quick Start Guide describes how to install and configure all of the software you need to perform incremental replication operations using SQDR and SQDR Plus. This document assumes that you have already performed the steps to prepare the Tier 1 source database system and install and configure the Tier 2 SQDR Plus server. If not, refer to the Part 1 section appropriate for your environment; see Quick Start Guide to Using SQDR Plus. You will need certain information gathered in Part 1; we recommend using the SQDR Plus Configuration Worksheet. Tier 1 Database Administrator (DB2 Administrator) is someone with administrative authority on the Tier 1 source system. Tier 3 Administrator is someone with administrative authority to install SQDR on a Windows computer. This person must also have a set of DB2 user credentials that provide adequate authority to work with the libraries and tables you want to replicate. TCP/IP access to the source database host, the destination database, and the SQDR Plus server. Access to DB2 for LUW or Microsoft SQL Server to be used for the SQDR control database. A supported web browser for managing the SQDR Plus server. 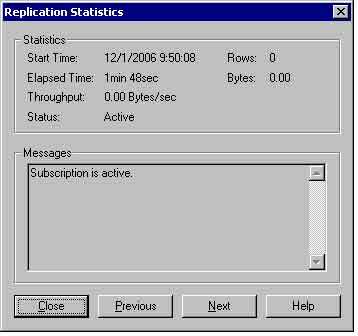 SQDR uses a SQL Server database to store replication subscription information. If you do not already have a SQL Server installation, you can obtain the Microsoft SQL Server 2005/2008/2012/2014 Express Edition free of charge from Microsoft to use as a control database for the Data Replicator. The StarQuest Technical Document Installing SQL Server for a Control Database provides details for using SQL Server 2005/2008/2012/2014 Express with SQDR. The collation of the SQL Server database to where data will be replicated should be case-sensitive. Verify the collation for the database by viewing the database properties in the SQL Server Management Studio. A case-sensitive collation will have the characters “CS” appended to the Collation Designator. For example, the collation SQL_Latin1_General_CP1_CS_AS is a case-sensitive collation for U.S. English systems. Refer to the SQL Server Books Online for more information on collation values. Depending on the type of authentication that is configured for the SQL Server, you must have a SQL Server user ID (if using SQL Server and Windows authentication) or a Windows user ID (if using Windows-only authentication) that is a member of the System Administrators (sysadmin) server role. DB2 Administrator: Using StarAdmin (installed with SQDR Plus), bind packages to the database. This requires knowledge of the database host and sufficient user privilege. Provide database connectivity information to the Client-Platform Administrator to be used in step 4c. SQL Server Administrator: Start the SQL Server service and configure ODBC DSN for the control database. Download SQDR using the download link from step 2 in Part 1 and install the software. This installation includes the StarSQL ODBC driver. License the software using the Registration Key from step 2 in Part 1. Create ODBC DBMS Data Sources or determine connection strings for the source and destination databases. Run the SQDR configuration, connecting to the local SQL Server using the DSN created in step 3. 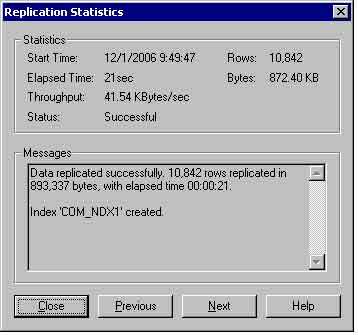 Configure an SQDR incremental replication group and replication subscription. The Windows installer SQDR Plus includes StarAdmin; in most cases, downloading and installing StarAdmin on a Windows platform is optional and this step can be skipped. For users who cannot use the version of StarAdmin bundled with SQDR Plus (e.g. if you are running SQDR Plus on Linux), download StarAdmin to a temporary directory, unblock the zip file if necessary, expand the zip file, and install the software using the instructions below. Log on as an administrative user. If prompted to install the Microsoft Visual C++ 2008 SP1 Redistributable package, click the Install button. Accept to install StarAdmin in the default directory of C:\Program Files\StarQuest\StarAdmin or browse to select an alternate directory. Click Next to continue. StarAdmin will be used in the next step to bind StarSQL host packages. The database connectivity information collected in this section should be provided later to the SQDR Client-Platform Administrator for use in creating ODBC data sources. Host The network Host Name or IP address of the DB2 server. The port number on which DB2 listens for connection requests, as determined during the pre-installation tasks. The name of the source DB2 database. Set this value to SQDR. Username/Password A DB2 user account that has authority to create and bind packages in the SQDR collection. Start the StarAdmin application from either the Tools/StarAdmin subgroup of the SQDR Plus program group, or from the StarAdmin program group. Enter the database connectivity values in the Connection Settings dialog and click OK. Upon connecting successfully, StarAdmin will immediately bind one package, which will be displayed in the package list. The status bar at the bottom of the dialog will display the Database Name, Package Collection, DB2 Type, and Version. If StarAdmin fails to connect to the database, review the suggested resolutions in the Common Error Messages section of the StarQuest technical document Binding StarSQL Packages Using StarAdmin and make any necessary corrections to the values in the connection dialog. SQL package SWNC0000 in collection SQDR has been created. SQL package SWRU0000 in collection SQDR has been created. SQL package SWRC0000 in collection SQDR has been created. SQL package SWRR0000 in collection SQDR has been created. SQL package SWTS0000 in collection SQDR has been created. SQL package SWNC1000 in collection SQDR has been created. SQL package SWRU1000 in collection SQDR has been created. SQL package SWRC1000 in collection SQDR has been created. SQL package SWRR1000 in collection SQDR has been created. SQL package SWTS1000 in collection SQDR has been created. SQL package QSYS2 in collection SQDR has been created. If any errors are reported, review the suggested resolutions in the Common Error Messages section of the StarQuest technical document Binding StarSQL Packages Using StarAdmin, correct the problem and execute the bind operation again. If you are unable to resolve the error condition, copy the entire Summary text and send it to StarQuest Customer Support at contact@starquest.com. Copy the connection information at the top of the Summary text to the clipboard, as this information will be used in step 4c. The client computer on which you will install SQDR must have a supported version of Microsoft SQL Server installed. If you do not already have a SQL Server installation, you can obtain the Microsoft SQL Server 2005/2008/2012 Express Edition free of charge from Microsoft to use as a control database for the Data Replicator. Review the SQL Server considerations above for more information. The SQL Server service must be running for the Data Replicator Service to access its control database. Start the SQL Server and SQL Server Agent services from Windows Services, typically found under Control Panel—> Administrative Tools—> Services. Define the ODBC DSN for the SQL Server database that the Data Replicator Service will use as a control database. This should be a different DSN than one that will be used to access the destination database (created in the Create ODBC DBMS Data Sources step below). Launch the ODBC Administrator from the SQDR program group. If using a 64-bit SQL Server, you will need to create a 32-bit ODBC DSN for the SQL Server database using the 32-bit ODBC Data Source Administrator (odbcad32.exe), typically located in \WINDOWS\SysWOW64 directory. We recommend using the shortcut for ODBC Administrator in the SQDR program group. The StarQuest Data Replicator software is distributed as a compressed file that you download from the StarQuest Ventures Web site. Download SQDR using the download link provided in step 2 in Part 1, unblock the zip file if necessary (right-click and select Properties of the zip file), and uncompress the file into a temporary directory. Run the setup.exe program from the SQDR installer image. Respond to the prompts accordingly to complete the installation. At the end of the installation, the installer prompts you to start the ODBC Administrator and/or the SQDR Configuration. Select both options and proceed to the next step. StarQuest products require a valid set of licenses for evaluation purposes. You can request license keys for multiple products at once, as described below. If the computer running the StarQuest software has access to the Internet, follow the Online Licensing Instructions below. Otherwise, follow the Alternate Licensing Instructions. If the License Configuration utility is not already running already running, open the StarLicense Configuration utility from either Start --> Programs --> StarSQL --> License Configuration or Start --> Programs --> StarQuest Data Replicator --> License Configuration. Click on the License Online tab. Select a License Lock Type, enter in the Registration Key provided in the download confirmation email from step 2 in Part 1 , and click Get License. When the request successfully completes, the license(s) for the software you are registered to use appear in the License Keys list of the Licenses tab. The Registration Key may produce several License Keys, depending on the products you are registered to use. Subsequent attempts to use the same Registration Key will result in the identical License Key(s) being retrieved. Open the License Configuration utility from Start --> Programs --> StarSQL --> License Configuration Start --> Programs --> StarQuest Data Replicator --> License Configuration. Record the Host ID displayed on the License Online tab. On the StarQuest Online Licensing Form web page, enter in the email address used for the original download request and the Registration Key you received in the download confirmation email. Enter the Host ID value recorded previously and select the "Node-locked" license option. Click Next. Copy the license key(s) displayed on the web page. You will also receive an e-mail with the license key(s). On the computer running the StarQuest software, open the License Configuration utility. Under the Licenses tab, click the Add button and enter in the license key. Repeat until all of the license keys have been entered. An ODBC data source name (DSN) defines the information that a driver needs to access a specific instance of data in a DBMS. You must define an ODBC DSN for each host DBMS that you want to replicate to and from. You do not need to create an ODBC DSN for connection to the SQDR Plus control database. Alternately, you can define SQDR source and destinations using connection strings. When using SQDR on a 64-bit operating system, you will need to create 32-bit ODBC DSNs using the 32-bit ODBC Data Source Administrator (odbcad32.exe), typically located in \WINDOWS\SysWOW64 directory. We recommend using the shortcut for ODBC Administrator in the SQDR program group. Create an ODBC System DSN to connect to the source database. NOTE If you plan to use DB2 Connect as the ODBC driver, refer to the appropriate IBM documentation for instructions on how to configure a DB2 Connect DSN. If you need to replicate LOB data, in the DB2 Connect data source configuration add the LONGDATACOMPAT parameter from the Advanced Settings tab of the CLI/ODBC Settings and set this value to “As LONGVAR data”. Set the Maximum LOB column size value if desired, or accept the default value. Proceed to the next section to create the destination database ODBC DSN. The following steps describe how to create a StarSQL ODBC data source to connect to the DB2 source database. If ODBC Administrator is not already running, launch it from the SQDR program group: Start—>Programs—>StarQuest Data Replicator—>ODBC Administrator. Click the System DSN tab of the ODBC Data Source Administrator window. Click Add and, in the next dialog, select StarSQL 32 for the driver and click Finish. In the first dialog of the StarSQL Data Source Wizard, enter a name for the data source and, optionally, a description. Click Next to step through the Wizard panes, specifying the database connectivity parameter values obtained by the DB2 Administrator in step 2 above. From the Network pane of the StarSQL Data Source Wizard, click the Test Connection button to ensure you can connect to the host database. On the next pane, enter a valid DB2 user ID and password so that the data source can connect to the database and set default values, and click Summary. If the connection fails, modify the data source configuration until the ODBC DSN can successfully connect to the host. Click the Expert Page item in the left pane of the StarSQL Data Source Wizard. Select IsolationLevel in the Data Source Entry list box, and select Read Committed in the Values list box. Click Next to display the summary page and click OK to save the DSN. The following steps describe how to create a SQL Server ODBC data source that connects to the SQL Server destination database. If your destination database is not SQL Server, refer to the documentation for the ODBC driver specific for your database for instructions on creating ODBC DSNs. To create a new data source for the SQL Server database, click Add. In the next dialog, select SQL Server Native for the driver and click Finish. You must configure the Data Replicator service to specify which SQL Server data source to use for the control tables and how the Data Replicator service should log in to the SQL Server. If the SQDR Configuration Wizard is not already running, launch it from the SQDR program group: Start—>Programs—>StarQuest Data Replicator—>Data Replicator Configuration. In the first pane of the Configuration Wizard, select the SQL Server data source that you configured (in step 3) to access SQDR's control database and enter the SQL Server credentials for a user who is a member of the sysadmin server role. Click Next to proceed. NOTE If you receive an error that the data source cannot be found, launch the ODBC Data Source Administrator from the SQDR program group, double-click the SQL Server System DSN, and review the configuration. At the configuration summary verify that the Test Connection succeeds. Exit the ODBC Administrator and return to the SQDR Configuration Wizard. Select the default option Create a new control database and click Next. Leave the default database name of ControlDB or enter an alternative name. Leave the schema name field blank, as it will default to "dbo". Click Next. Review the configuration summary, choose to start the Data Replicator Service and Manager and click Finish to save the Data Replicator configuration. When the Data Replicator Manager launches for the first time, a License Configuration dialog prompts you to enter your license keys. Since the license keys have already been requested, click OK to close this dialog. You use the Data Replicator Manager to set up and administer replication operations. Select Data Replicator Manager from the StarQuest Data Replicator program group if it is not already running. In the License Configuration dialog, verify that you have the three license keys entered (with PROD IDs "SQ", "DR", and "A+) and click OK. See step 4b if you have not entered license keys for using the evaluation software. Stop and restart the SQDR service in order for the license keys to take effect. In the left pane, right-click the Service node for your computer and Stop the service. Right-click again and choose Start. In the main Data Replicator Manager window, right-click the Sources folder and select the Insert Source command. Select the DSN that connects to the source database that contains the data you want to replicate, and enter a user ID and password that has permission to access that database. Click on the Advanced tab. SQDR will automatically detect any available Capture Agent schemas and enable incremental replication. On the Advanced dialog, set the default values for Database and/or Object Schema, as appropriate for your database. These values are necessary for the Copy Member operations. If multiple Capture Agent schemas are detected on the host system, select the desired schema from the drop-down menu. We recommend that you supply a Notification Address (host name or IP address) of the computer that you want to receive a UDP notification when changes are committed to this source. Configuring a notification address will reduce the time it takes for the SQDR client to detect and retrieve source table changes. The drop-down menu lists the IP addresses of all active network connections. Click OK to create the source. Now define the destination that will receive the replicated data. Right-click the Destinations folder and select the Insert Destination command. Select the DSN that connects to the database to which you want to replicate the data, and enter a user ID and password that has permission to access that database. (Note that this screenshot is inaccurate; the DSN should be using the SQL Server Native driver). On the Advanced dialog, set the default value for the Database and/or Object Schema, as appropriate for your database. These values will be used by the SQDR subscription wizard to populate configuration fields and during Copy Member operations. Click OK to create the destination. In this section you create a group in which to place one or more subscriptions that perform incremental replication operations between the specified source and destination. Right-click the Groups folder and select Insert Incremental Group. In the Group properties dialog, enter a name for the Group and an optional description in the Comment field. The default values for the remaining options are typically suitable for first-time users. To learn more about a particular option, click the Help button in this dialog to launch the SQDR online help topic for this tab. On the Advanced tab, select the Source and Destination that will be used for each incremental replication subscription in this group. Ensure that the Receive Change Data Notifications from Capture Agent option is selected (i.e., checked). Leave the Apply options and Subscription Defaults as their default values and click OK to create the group. The Replicator Manager provides a Subscription Wizard to help you define the specific source data and how you want to replicate it. Right-click the Subscriptions folder beneath the source that you added and select the Insert Subscription command. The Add Subscription Wizard appears. In the Select the Source pane, select Incremental as the Replication Type and enter a schema or object name if you want to filter the source objects list. Click the Refresh button to display the available source objects in the right pane and select the source object you want to replicate. Click Next to proceed. In the Select a Destination pane, select the DSN that connects to the destination you added to the Replicator Manager. Review the Destination Options and Replication Options, and click Next to proceed. In the Select Group pane select the incremental replication group that you created earlier. Click Next to continue. The Define Criteria pane allows you to specify a SQL WHERE clause in order to horizontally partition the data to be replicated. Enter a valid WHERE clause and click the Verify Criteria button, or leave the field blank. Click Next to continue. The Define Destination Columns pane allows you to review and change the data type mappings for the source and destination objects. Modify the destination columns if desired and click Next. Click Next in the Create Table Statement pane. The CREATE TABLE statement will not appear until the subscription has been saved. On the Define Processing pane, enter optional host commands to be executed before and/or after the data is replicated. Click Next to continue. On the Indexes/Constraints pane, click Refresh to display any indexes or constraints defined for the source. Select any that you want to replicate to the destination and click Next. Review the default subscription name provided and, if desired, modify. Click Finish to save the subscription. The subscription is added beneath the Subscriptions folder of the defined source and to the corresponding group. After you define an incremental replication subscription, the Data Replicator runs a baseline snapshot replication that forms the base against which incremental changes are tracked. After the baseline snapshot replication succeeds, the source table is actively monitored by SQDR Plus for changes. This step shows you how to monitor the status of a subscription and a group of incremental subscriptions. Review the status of the subscription by highlighting the subscription in the left pane of the Replicator Manager. Double-click the replication event, indicated by the icon, to view the statistics of the baseline snapshot. If the data did not replicate successfully, review the error(s) and correct the subscription properties as necessary. Locate the member subscription under Groups, and double-click on the Replication Event to view the status of the subscription. After the baseline snapshot operation completes successfully the incremental subscription is automatically enabled and actively monitoring for changes at the source. This Quick Start Guide was intended to help you install the StarQuest software and perform a data replication operation as quickly as possible. Please continue to experiment with the software by adding additional subscriptions, scheduling replication operations, and performing SQL operations on data before and/or after it is replicated. As you experiment with the SQDR Plus and SQDR software, refer to the product documentation for more information. The SQDR Plus Manager provides an online help system that provides more information about configuring and managing the SQDR Plus Staging Agent. The Data Replicator Manager provides an online help system that provides more information about defining and running replication operations. Press F1 or click a Help button from the Data Replicator Manager to display the online help system. If you encounter any problems while using the evaluation software, please send an email to StarQuest Customer Support at contact@starquest.com or call (+1) 415-669-9619 for assistance.